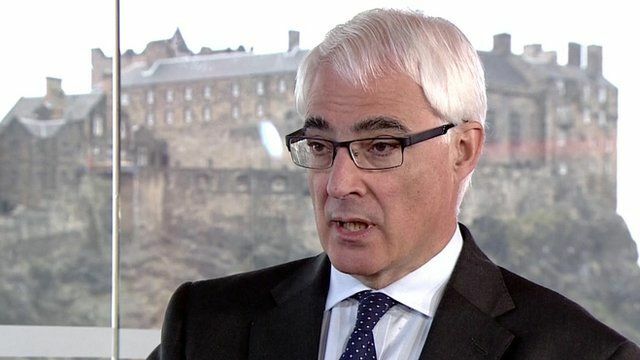 Darling: 'No way back' from Yes vote Jump to media player Leader of the Better Together campaign, Alistair Darling, says there is "no way back" from a Yes vote in the Scottish Independence Referendum. 'Once in a generation opportunity' Jump to media player SNP leader Alex Salmond has said the Scottish referendum is a "once in a generation opportunity". Referendum: Young voters have their say Jump to media player For the first time next week, 16 and 17 year olds will be able to vote in the UK. Darling: 'Don't you lecture me' Jump to media player Alex Salmond is insistent on his questioning of Better Together campaign leader Alistair Darling on the issue of Trident during the televised debate. 'No going back on Scotland vote' Jump to media player Alex Salmond and Alistair Darling have been going head to head in a TV debate ahead of the Scottish independence referendum, with Mr Darling warning voters ''there is no going back'' if they opt for an independent Scotland. Both sides in the Scottish referendum debate have said they are working for every vote on the final weekend before Scotland goes to the polls. The latest opinion polls ahead of the 18 September referendum have suggested the vote is too close to call. The campaign leader of the Better Together campaign, Alistair Darling, says if there is a Yes vote there will be "no way back". He told the Andrew Marr Show: "We can have faster, better change for Scotland without the risks of independence".